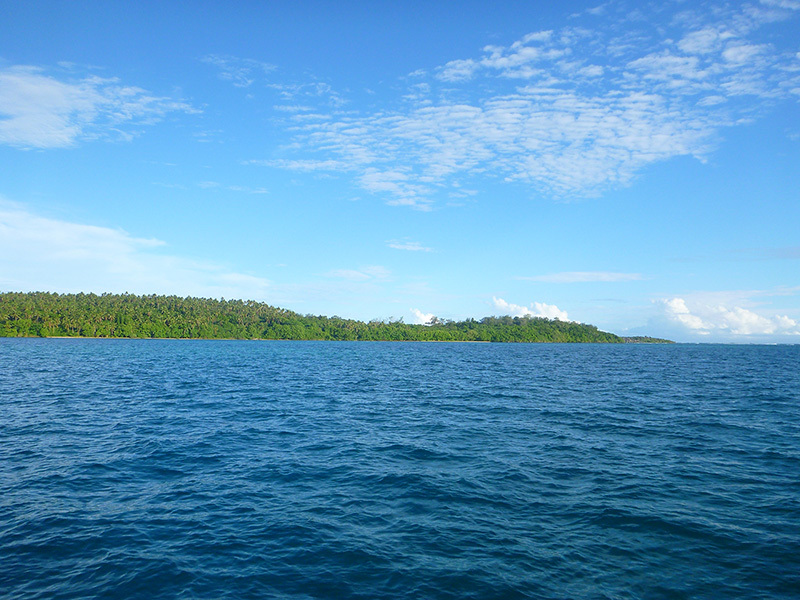 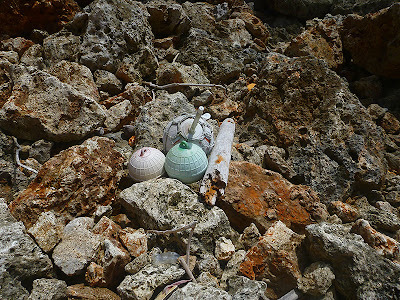 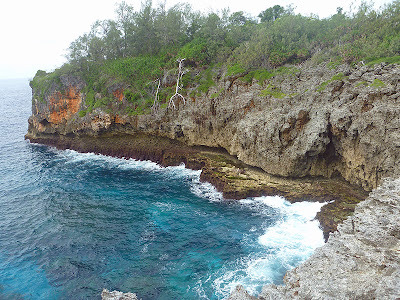 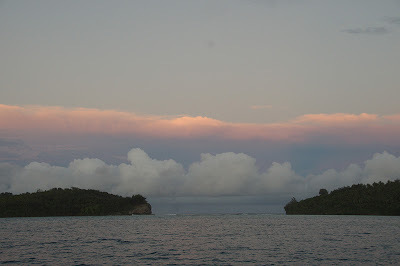 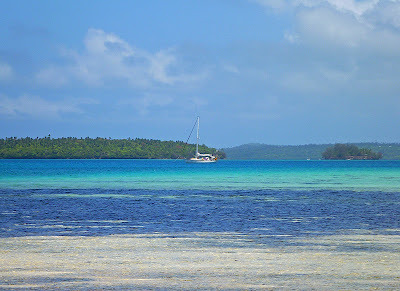 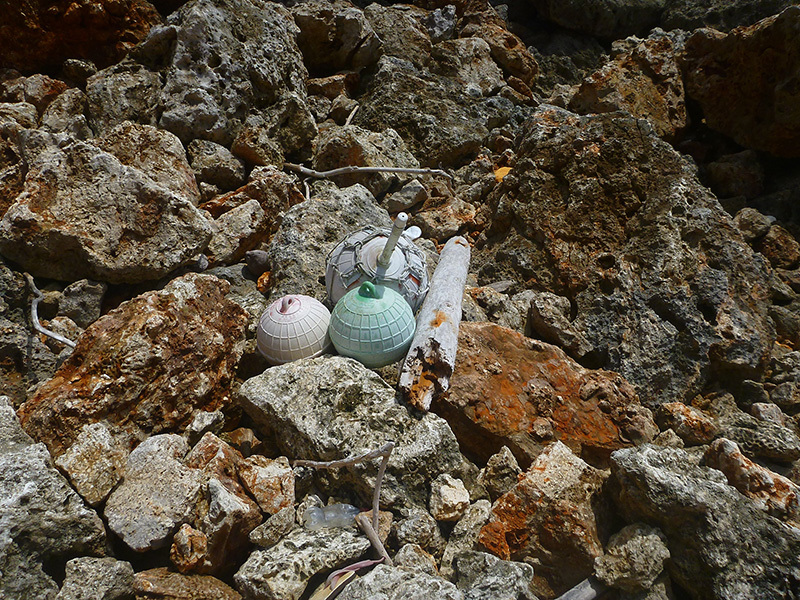 On one of our trips to the outer anchorages in the Vava'u Group, we visited the easternmost island of Kenutu. 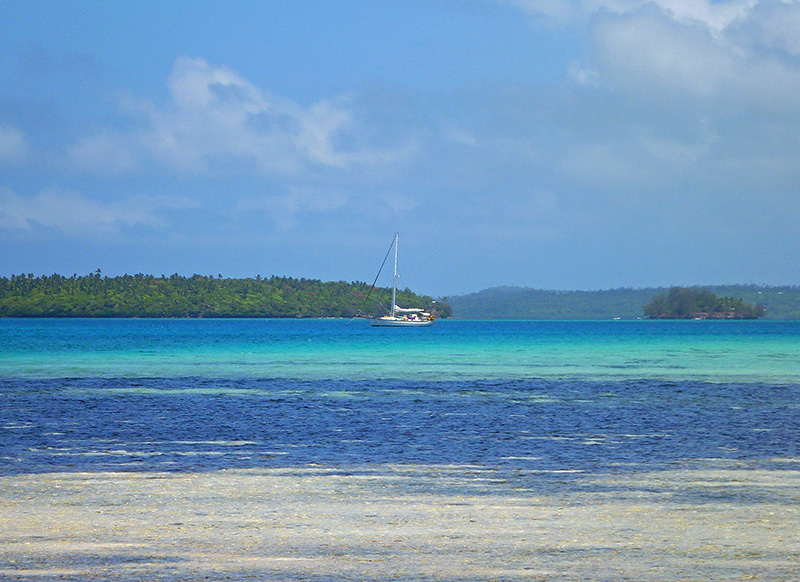 This anchorage is less frequently visited than some of the other anchorages, because you have to navigate through a maze of coral reefs in order to get there. 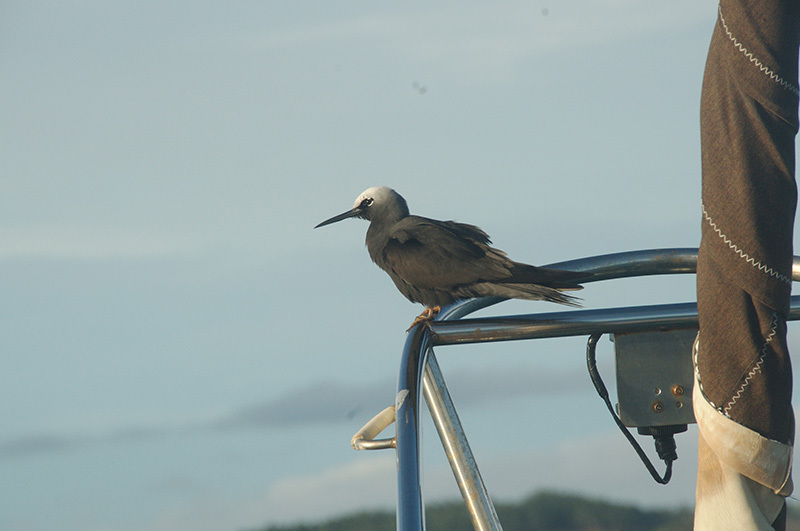 We kept a bow lookout for coral heads, but found that the approach wasn't too difficult. We were fortunate in that we visited Kenutu just after a period of rough weather, and we had the anchorage all to ourselves the first night we were there. 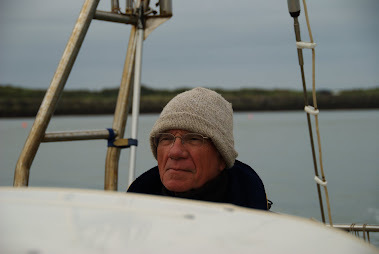 We were joined by one more boat on each of the subsequent two nights, so that the maximum number of boats in the anchorage while we were there was three. 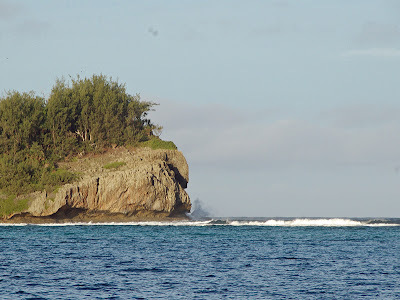 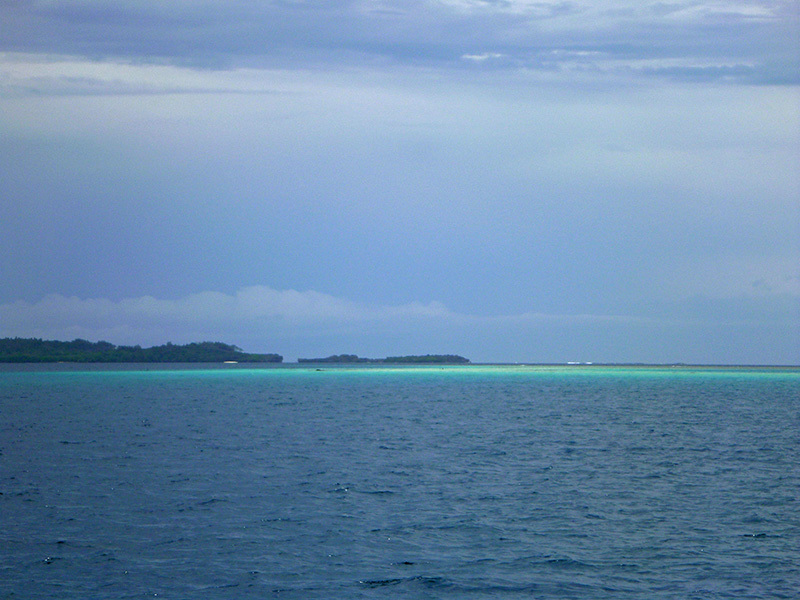 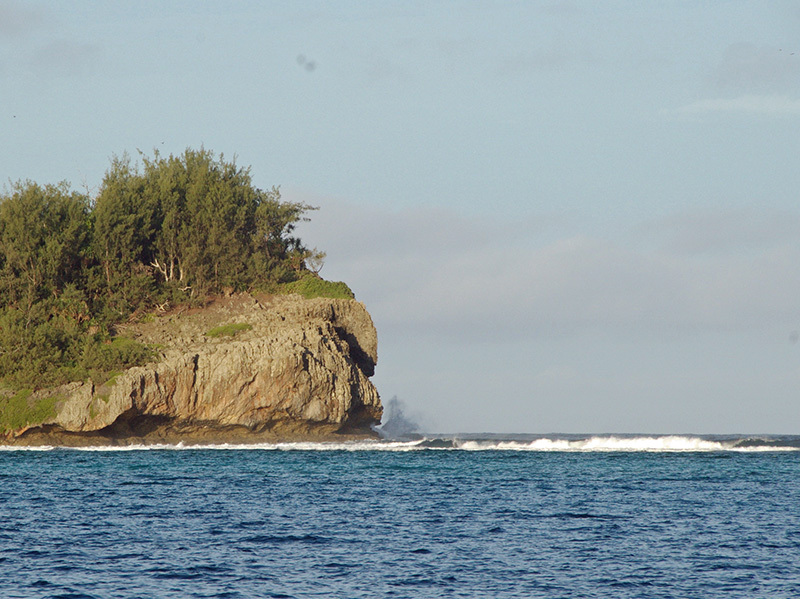 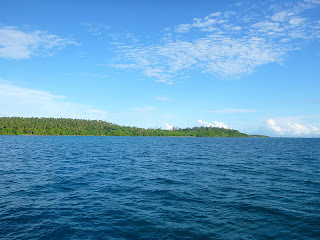 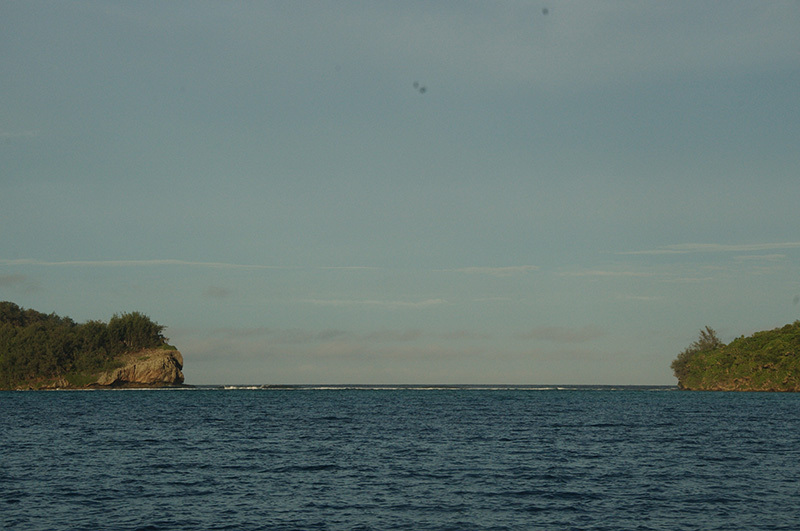 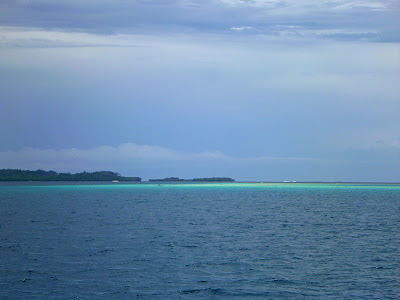 The anchorage along the west side of Kenutu is situated along a chain of islands (Kenutu being only one of several) separated by passes through which the ocean dramatically crashes over the reef at high tide. 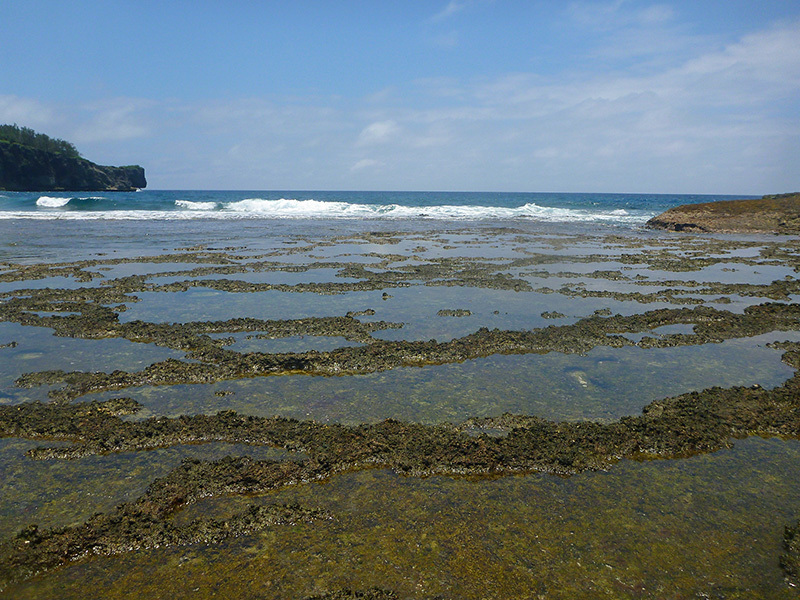 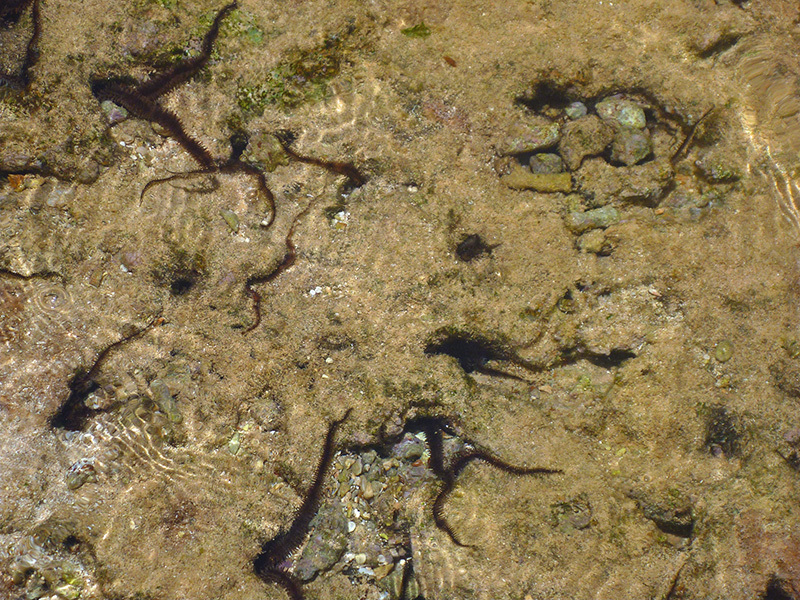 At low tide, a series of tidepools set in terraces are exposed. 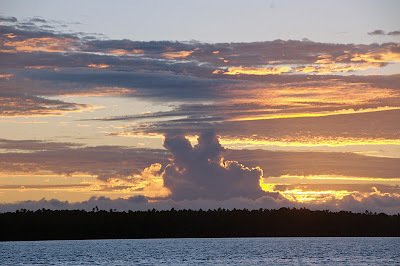 Sunrises and sunsets are spectacular, and the entire setting is very peaceful and relaxing. 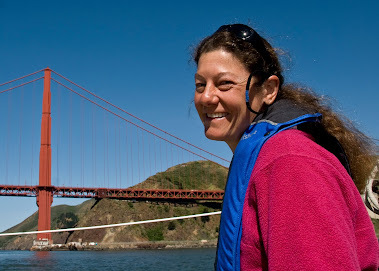 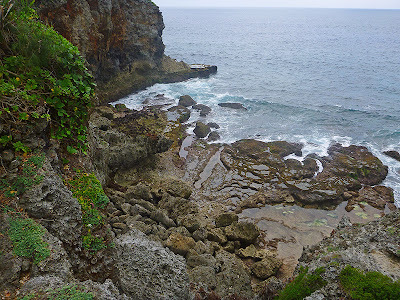 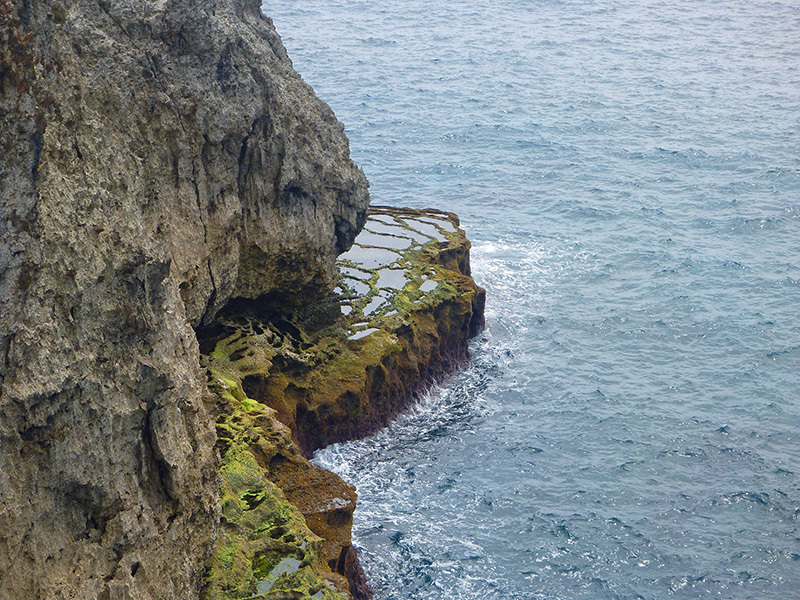 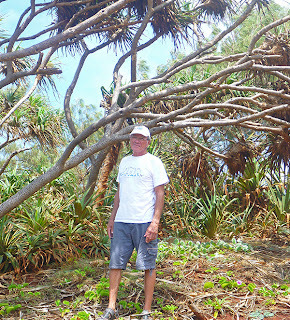 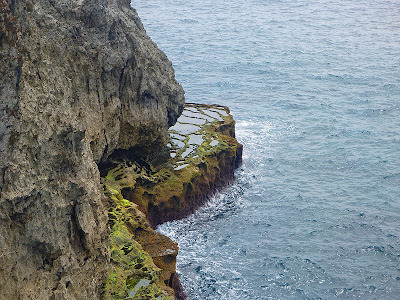 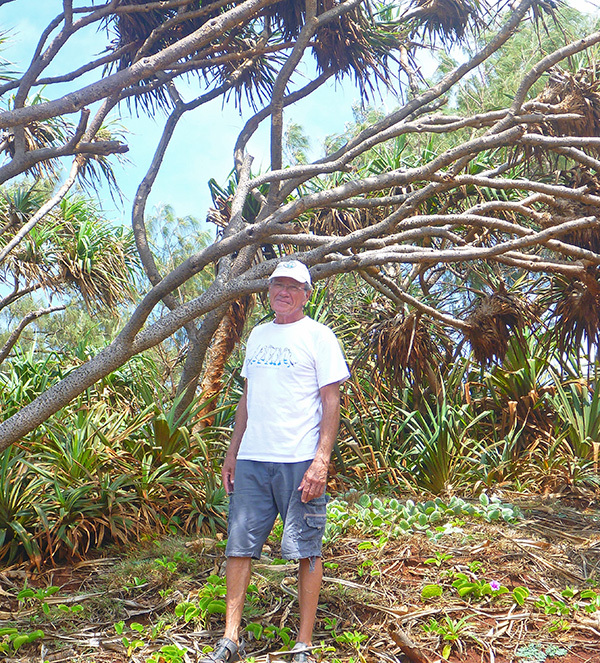 We ventured ashore to explore the island and attempt to find the ridge trail on the eastern edge of the island. 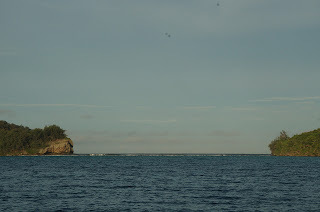 We found the trail (entrance near the southern end of Kenutu Island) without much difficulty and quickly crossed the narrow island to its east side. 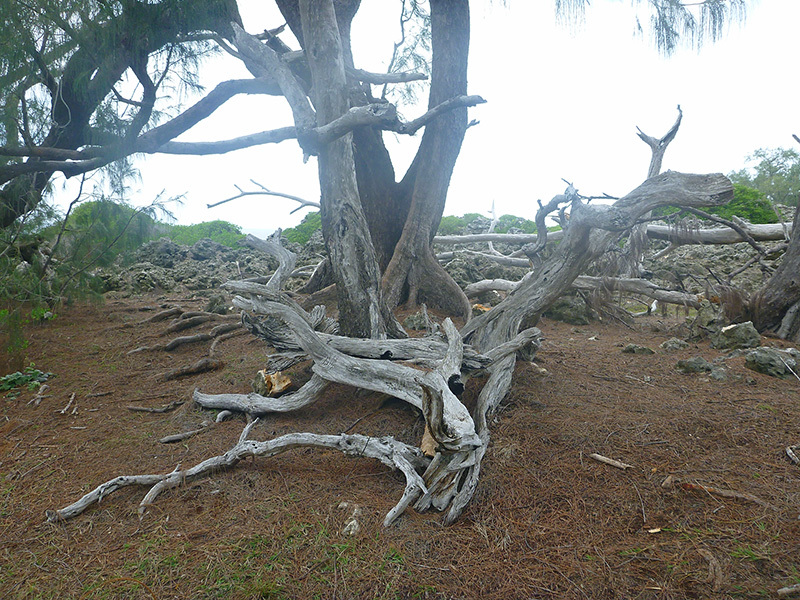 Here, the trail forked, so we ended up taking both forks in order to see the most territory we could. 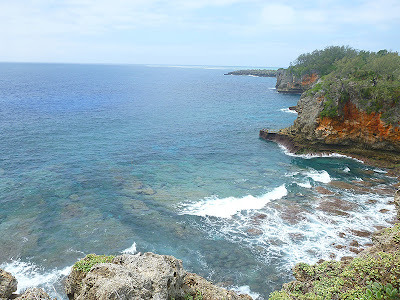 The east coast of Kenutu appealed to both Patrick and I. I think the rugged coastline reminded us a little bit of the coast at home in the Pacific Northwest. 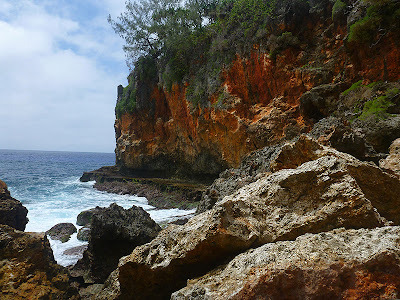 There were rocky coves and blowholes. 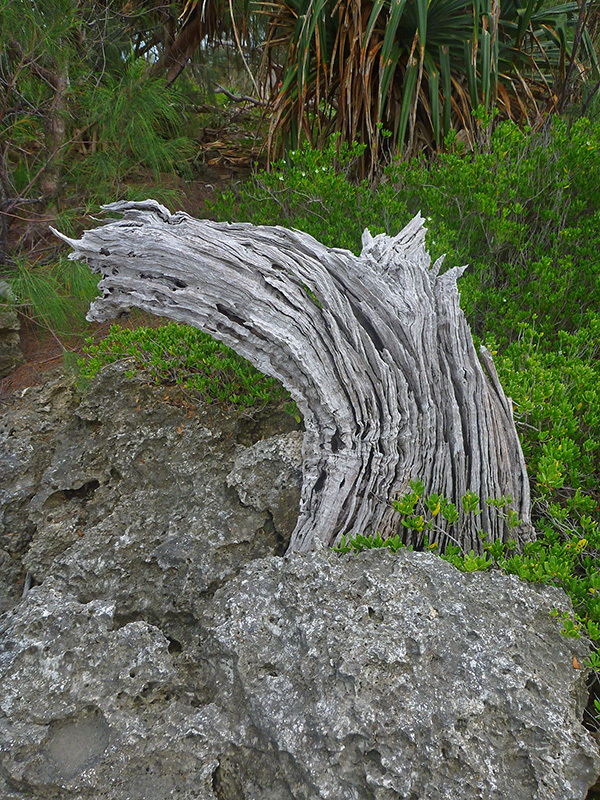 There were weathered trees and wood, reminiscent of Big Sur. 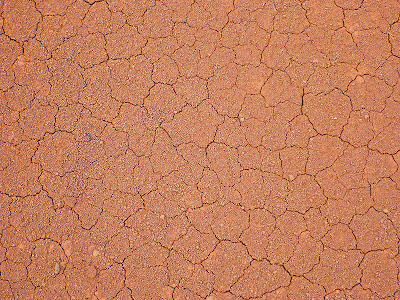 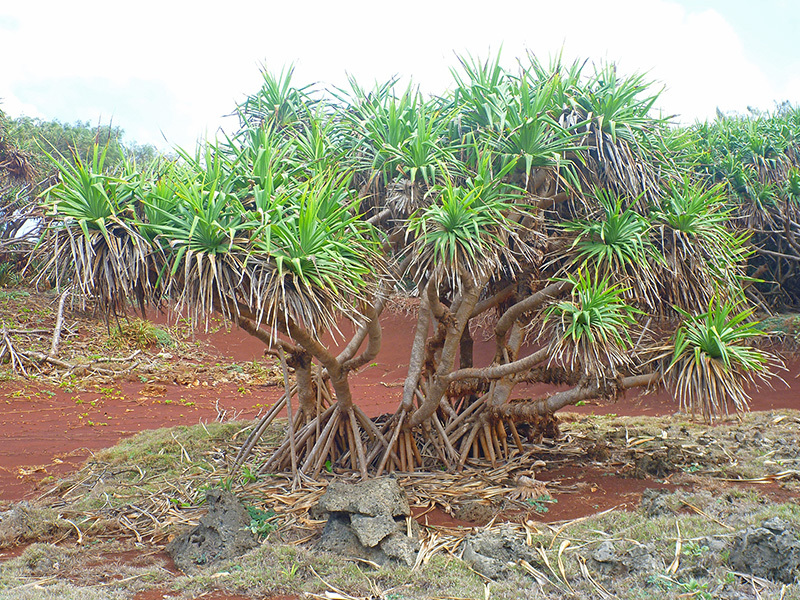 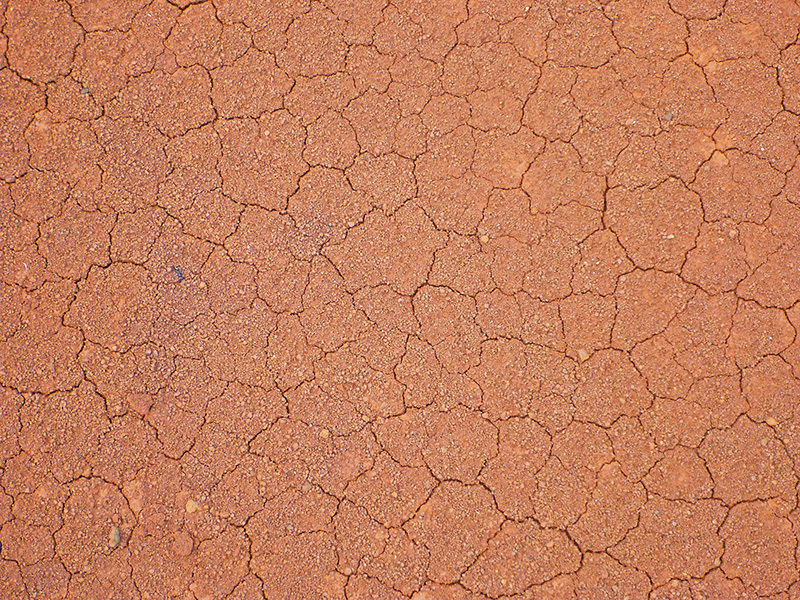 ....and pandanus groves thrived in the red volcanic soil. 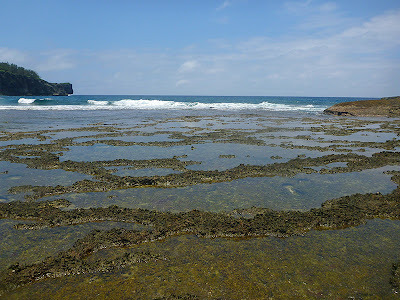 After exploring the east side, we came back over the island and checked out the pass between Umuna and Kenutu at low tide. 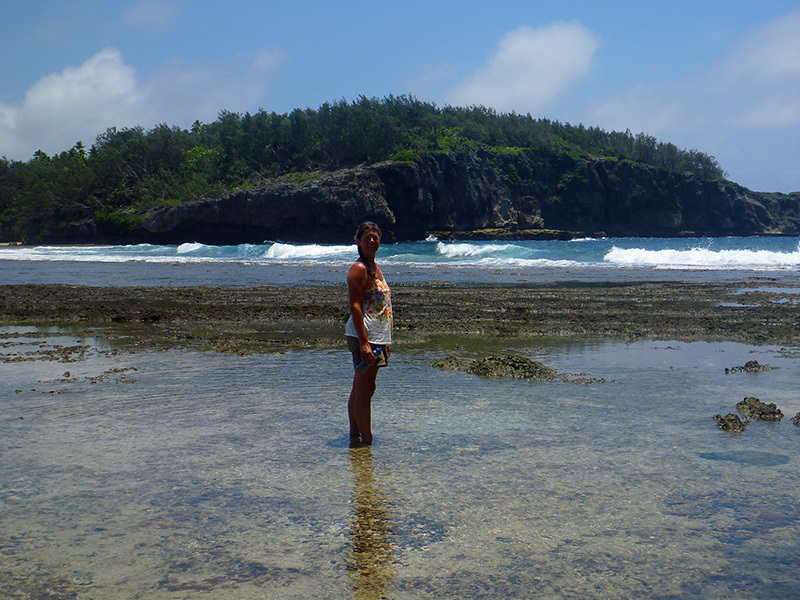 Kirsten in the tidepools...some things never change!